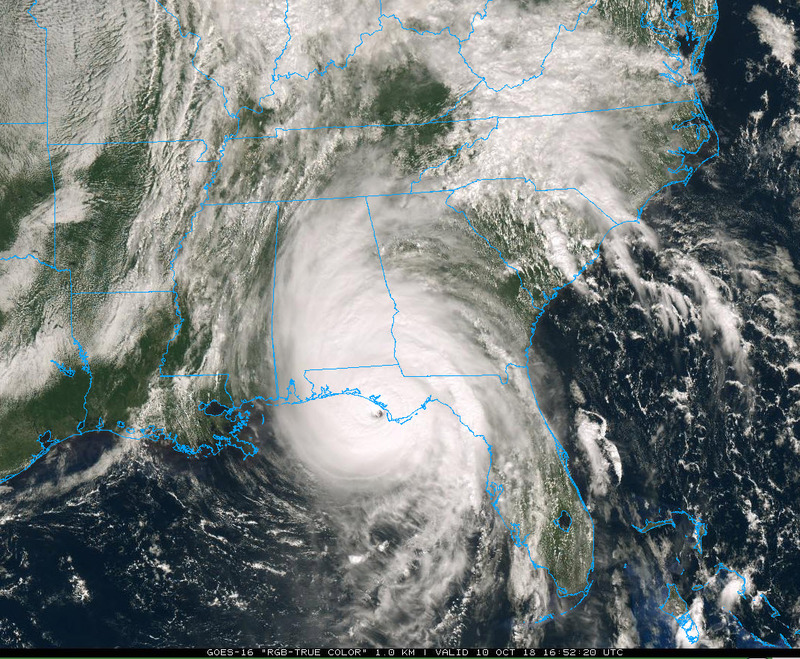 Hurricane Michael is now stronger than Hurricane Katrina when it made landfall in 2015. This makes Michael the third strongest U.S. landfalling hurricane on record if it maintains this 919 millibar central pressure. It shouldn’t surpass Camille. Port St. Joe recently reported a wind gust of 106 mph (171 km/h). of 63 mph (102 km/h) with a gust of 89 mph (143 km/h).